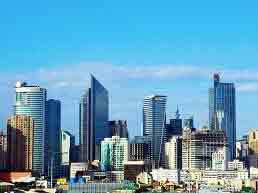 ﻿ 14 Empire East Condos For Sale In The Philippines With Price List. Empire East Holdings, Inc. has been building landmark residential communities which aim to transform the urban and suburban landscapes since 1994. With a first-mover advantage in the middle-income housing segment, Empire East has built a portfolio of multiple successes—projects in choice settings that bring harmony, well-being, and value to all its residents. 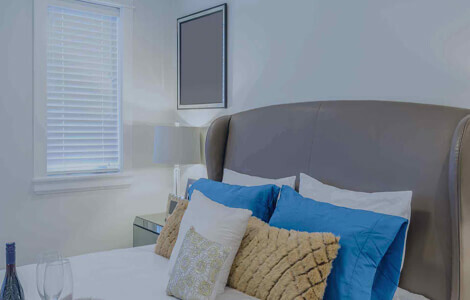 Presently, Empire East continues to fashion lifestyles which immerse the modern Filipino in richer and more rewarding experiences right at home. Delivering the best real estate and driven by passion, Empire East plays close attention to the ‘real’ in real estate development. 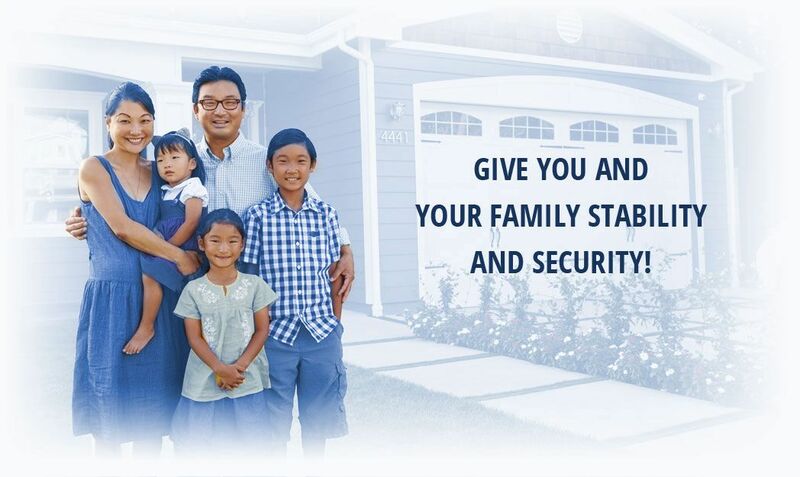 Empire East helps clients attain enjoyable lifestyles. It also prioritizes genuine needs and preferences of its clients. Thus, this inspiration then drives Empire East to sustain their endeavor in conceptualization and construction of high-quality homes in the most strategic locations—from Metro Manila to the outskirts. The company also offers manageable terms of payment to tailor-fit their clients’ penchant for personal investment goals. Empire East’s CEO is Andrew L. Tan, the one who established Megaworld Corporation, and an industry leader in real estate in the Philippines. Specializing in the creation of residential communities for the middle-class, Empire East was once part of Megaworld. 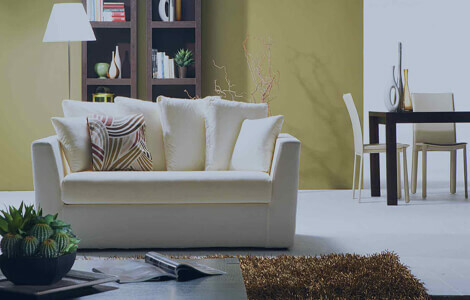 It has, since 1994, branched out as an independent company which focuses on its target niche. It was then officially registered in the Philippine Stock Exchange with its township developments which aim to create harmonious neighborhoods which also function inter-collectively to provide every household’s needs. Presently, the company want to focus on transit-oriented condos in the Metro to make city-living more convenient. With exceptional mobility, you can now access Metro Manila’s main railway transit and main thoroughfares. After all these years, Empire East wants to tap a wider client base and move beyond market segments to finally take on the role of becoming the soul of continued advancement. It has an impressive array of completed projects: Laguna Bel Air, California Garden Square, The Cambridge Village, The Xavier Hills, Greenhills Garden Square, San Francisco Gardens, Little Baguio Gardens, Gilmore Heights, Governor's Place, and Kingswood Makati. The Rochester, The Sonoma, Kasara, and The Renaissance. The Company was incorporated on the 15th of July 1994. 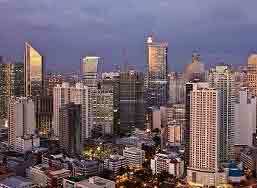 As stated, it was previously a division of the Megaworld Coporation. It was then known as the Community Housing Divison of Megaworld. Deciding to spin off its Community Housing Division, Megaworld Corporation decided to rebuild this into Empire East for the purpose of separating its high-end residential and office business from its lower and middle-income housing business. 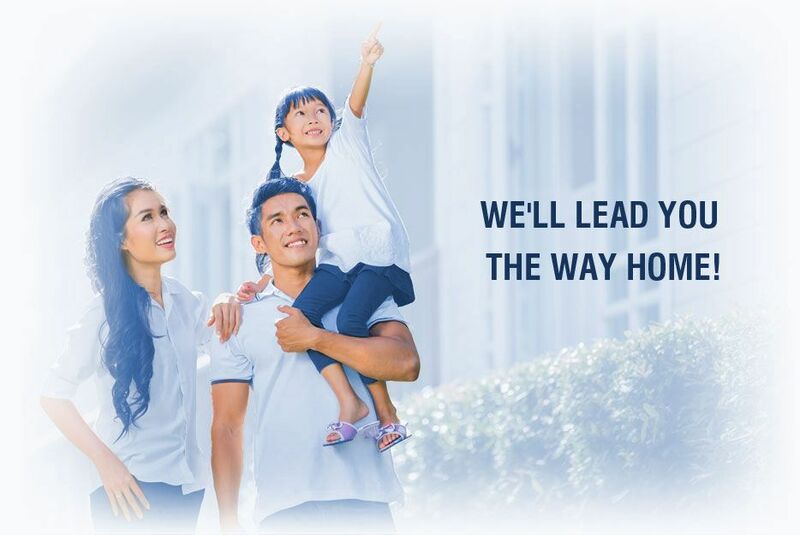 Nowadays, Empire East is engaged in the marketing and development of mid-cost housing projects that take fruit in condo communities, subdivision lots and house-and-lot packages, and commercial units. Empire East also leases out commercial and industrial properties. 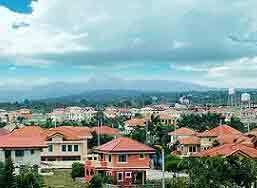 Within Metro Manila and progressive suburban areas, its core products are mid- to high-rise condo towers and single-detached homes to house-and-lot packages. Megaworld has holdings of up to 81.72% of Empire East since December 2013. It also has strong corporate values: efficiency (believing that they can achieve their vision despite limited resources), energy (or acting with vigor to cope with the changing pace of the competition), loyalty (upholding anything that would best benefit the company and its every undertaking, honesty (carrying into action their responsibilities as truthfully as possible), and industry (being committed to work hard for the fulfillment of the company vision). Empire East has key individuals in Andrew L. Tan, its chairman of the board; Anthony Charlemagne C. Yu as its director/president; Gerardo C. Garcia as its vice chairman and the independent director of the Company; the director elected to the board in 2009, Enrique Santos L. Sy; Evelyn G. Cacho as its director and senior vice president since 2009; an independent director of the Company since June 2007, Alejo L. Villanueva, Jr.; and finally, Kevin Andrew L. Tan, its director. Empire East has several transit-oriented properties like Pioneer Woodlands, which can be found in EDSA cor. Pioneer St. in Mandaluyong City. Directly connected to the Boni Ave. Station of the MRT, it’s a six-high-rise-tower residential community which connects both the Northern and Southern districts of the Metro. Because of this convenience, it offers premium exclusive mobility to its residents, bringing them to the Makati CBD, Ortigas CBD, and more transport hubs which can serve as a jump-off point to other tourist spots, recreational hubs, and working centers in the country. Among its amenities are a 15-m lap swimming pool, wading pool, and paved sunbathing deck, a tropical garden deck in-between towers, a children’s playground, changing rooms with showers, jogging trails, commercial establishments at the first two levels of Tower I’s podium, and residential parking. Another transit-oriented vertical community is Little Baguio Terraces found on N. Domingo Street in San Juan City. With its unique location, this 4-tower development crosses over Quezon City on the other side along Aurora Boulevard. Nestled in between two stations of the LRT2 (J. Ruiz and Gilmore Ave.), this 8,000-sqm property is known for giving a quick ride to the university belt via Recto Ave. in Manila and the university belt via Katipunan Ave. in Quezon City. You can also indulge in an everyday vacation to soothe the weariness away in the resort-inspired home with its 15-m lap pool, a paved sunbathing deck, changing rooms, a children’s playground, pocket gardens, a jogging path, a fitness gym, and a daycare center. 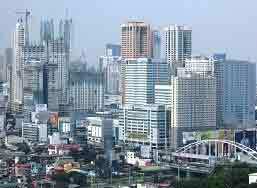 One of the more high-end developments of Empire East, San Lorenzo Place is situated conveniently within the Central Business District of Makati City in EDSA cor. Chino Roces Ave. Since Makati is a place where prestigious financial institutions and business centers are easily within reach the development also offers the convenience of a bi-level and top-notch products and services closer to home. Conveniently linked to the Magallanes station of the MRT3, this four-tower development offers a transportation option that can bring each resident to the vital hubs in the North in no time. Looking for amenities? It has adult and kiddie pools, a basketball court convertible into a tennies court, a fitness gym, pocket gardens, jogging trails, a paved sunbathing deck, residential parking, and a three-level retail arcade. Kasara Urban Resort Residences is an urban resort property in Eagle St., C5 Road in Pasig City, where you can dive into a nature-filled, water-resort paradise at the end of each busy day. Refreshing, and something that magically looks like your very own recreational resort out of town, you can live a grand five-star vacation even as you stay connected to the rest of the city. 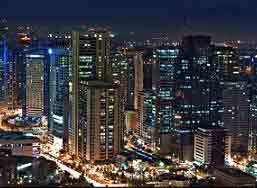 It’s right beside C5 road, also known as the most taken route to the business centers all over Metro Manila. Only 8km away from the Bonifacio Global City, 10km away from the Makati CBD, and 3.5km away from Eastwood, equally good opportunities and companies abound. It’s also 3.6 km away from Ortigas Center. With an accessible route, it leads to the best schools in the area like the Ateneo de Manila University, the University of the Philippines-Diliman, La Salle Greenhills, Xavier School, Saint Pedro Poveda School, and Marikina Science School, among many others. It will provide parents the best schools to send their children to. Even yuppies who feel like getting a new diploma or graduate studies can benefit from the proximity of this home to these advantageous educational institutions. Preferring to do shopping? Moms who find that they want to shop the groceries themselves will find ease of access to the various shopping and dining centers around the vicinity with nearby Tiendesitas, SM Hypermarket Pasig, Market! Market!, or S&R in BGC. Also, since popular, sought-after kid-friendly zones have recently become available, family times can be more fun with nearby Kidzania and the Mind Museum. Instantly get into the vacation and relaxation modes right within the residences with a lake-inspired pool, shrubs and river rocks, waterfalls gushing down from the 4th level of the two high-rise towers, and a mini bar right beside the pool. Hold parties at the multipurpose hall underneath wooden trellises. Enjoy recreation with a basketball court and a playground. Additionally, each tower is also equipped with hotel-type lobbies and scenic elevators so you can enjoy the beauty of your home even from higher floors. Choose between suites like the studio, studio-patio, 1BR, 1BR-patio, 2BR, 2BR-patio, 2BR-bal, and Penthouse (bi-level). 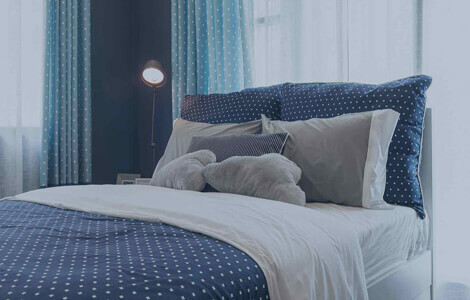 Immerse yourself in a well-balanced community that takes its inspiration from vacations and the daily grind in The Rochester, located in Elisco Road, San Joaquin, Pasig City. Right next to the Napindan channel where the Pasig River traverses, it may later offer a unique form of transportation due to the availability of the river ferries. Enjoy convenience as your new home is only 3km away from EDSA in Ortigas Ave., connecting you to the business districts of Makati and Taguig. It also gets you to shopping centers, leisure establishments, schools, and business districts. Be nearby shortcuts like the C5 Road, leading to Eastwood and BGC. Without traffic, be there in just a 15-min. drive. It’s also within the vicinity of the Ateneo de Manila University, La Salle Greenhills, St. Jude School. International School Manila, the British School Manila, and Xavier School, among many others. For shopping options, you can reach Greenhills Shopping Center, Megamall, Shangri-La Mall, Market! Market!, and SM Aura. Medical institutions are likewise available for providing your family an avenue for regular check-ups in St. Luke’s Medical Center, the VRP Medical Center, and the Medical City in Ortigas Center. An overflow of amazing eats for food junnkies can be found in Kapitolyo, where a string of interesting and viral restaurants is located.) As for its amenities, it has a 3-hectare terrain for 10 high-rise and mid-rise towers that’s Asian-inspired. It has an earth tone palette, a nature-rich setting, and has recreational facilities at the ground level. It even has a multipurpose hall—world-class and housing ample rooms for celebratory functions. Also, there’s a poolside bar, a resort-inspired pool reminiscent of high-end spas, jogging trails, a basketball court and tennis court, a gym, and pocket gardens. Its towers are the Gardenvilla One and Two 2014, Breeze Tower, Parklane Tower, Palmridge Tower, Hillcrest Tower, and Bridgeview Tower. Choose from units like the 1BR suite, the 2BR suite with balcony, a 3BR suite with balcony, and a bi-level suite. Located along Santol Ext. in Sta. Mesa City, Manila, is Covent Garden, a two-tower development that will be your gateway to the city’s vital hubs. With the LRT2 nearby and transportation lines and shortcuts within reach, you can reach the U-belt and the central business districts of the country. It gives you the luxury of time because of its strategic location. With a fun and soothing lifestyle, Mango Tree Residences is a serene residential development in San Juan City, in M. Paterno corner Ledesma Street. With an advantageous location, it’s highly accessible from CBDs, schools, medical institutions, and shopping centers within its 15km radius. It’s safe, serene, and exclusive as it’s located within a residential area and away from the main thoroughfares. Ideal for families who have kids to send to school, it’s near Xavier School, La Salle Greenhills, Poveda, and Immaculate Conception Academy. It’s also near the Ateneo de Manila University, Miriam College, and the University of the Philippines-Diliman. It has a close proximity to J. Ruiz station of the LRT2 and offers a fast and safe option for traveling to the Recto or Legarda stations, only a few steps away from the University of Santo Tomas, Far Eastern University, the University of the East, and the National University, among others. Spend your weekends in nearby entertainment and leisure hubs with the Greenhills Shopping Center, Megamall, Shang-ri La Mall, The Podium, Araneta Center, and Eastwood City. Also within reach are medical institutions such as the St. Jude Hospital, UST Hospital, St. Luke’s Quezon City, East Ave. Medical Center, the National Kidney and Transplant Institute, and the Capitol Medical Center. 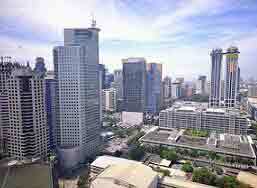 It’s also very near Ortigas Center and Makati City, central business districts. It’s even at the center of road shortcuts like the Makati-Mandaluyong Bridge, which cuts travel time to Makati in half. As for its amenities, these are definitely world-class: a 25m lap pool with kiddie pool, jogging trails, a fitness gym, al fresco lounges, function rooms, a yoga station, and a garden deck at the 7th floor. Composed of two high-rise towers, the East Tower and West Tower, it has 34 floors and 38 floors, respectively. It only has 10 suites per floor, so you can enjoy privacy with less density in common areas. Choose between the 1BR suite, the 1BR with patio, the 2BR suite, the 2BR with patio, and the penthouse.